On arrival at Madurai Airport / railway station, Welcome by our representative and get transfer to Trichy. Arrive Trichy, check in into the hotel. 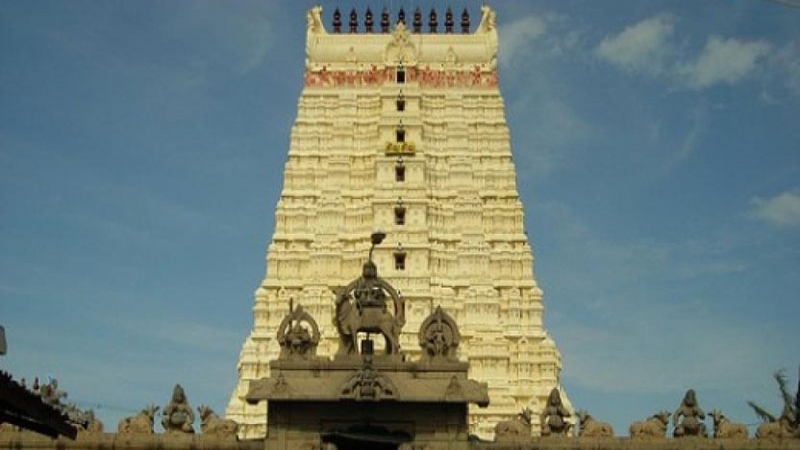 If time allows Visit Sri Ranganathar Swamy Temple - Srirangam, one of the largest temple complexes in all of India. Return back to the hotel. Overnight stay at hotel. After breakfast proceed to visit Tanjore, Visit Brihadeeswara Temple known as the ' Big temple’, built by the Chola dynasty. This massive temple is 216 feet high and the single spherical stone on top weighs 80 tons. This is a UNESCO World Heritage listed monument. After Lunch Return to Trichy Visit Famous Trichy Rock fort Temple. Overnight stay will be at Trichy. After Breakfast check out from hotel and get transfer to Madurai. On the way visit Palani One of the Main Adobe of Lord Muruga. The Thandayudhapani Temple dedicated to Lord Muruga, and regarded one of his Arupadai Veedu (Six Battle Camps), is situated here. The temple situated atop the Sivagiri is small but attracts a flood of devotees from all over the country. Later proceed to Madurai. Arrive and check in into the hotel. Overnight at Madurai. After breakfast check out from hotel and proceed to visit local sightseeing of Madurai which includes Kumari Amman Temple and Thirumalai Nayakar Palace. Later proceed to Rameshwaram. Arrive Rameshwaram, check in into the hotel. Visit Panchmukhi Hanuman Temple, Vibhishan Temple and Ram Padma. Return back to the hotel. Overnight stay at hotel. Dhanushkodi and Adam's Bridge. Return back to the hotel Afternoon proceed to Kanyakumari Enroute visit Thiruchendur (Subramanya Swamy Temple). Evening view wonderful sun set on beach Three Seas Mingle Point. Overnight stay at hotel. Early morning view sun rise by own. After breakfast visit Kumari Amman Temple, Vivekananda Rock Memorial, Thiruvalluvar Statue, Mahatma Gandhi Memorial Mandapam. Afternoon proceed to Kovalam, Arrive Kovalam, check in into the hotel. Day is free for leisure. Overnight stay at hotel. Early morning proceed to visit Shree Padmanabha Swamy temple. Return back to the hotel. After breakfast check out from hotel and get transfer to Trivandrum Airport / Railway station for your onward journey. All hotel taxes, state taxes, parking taxes. GST 5% extra on total billing. Dewan Travels (Pvt) Ltd reserves the right to change/modify or terminate the offer any time at its own discretion and without any prior notice. The above is just a proposal. Similar hotels will be used in case of non-availability of rooms in above mentioned hotel.